FIME laboratories are accredited by the major certification schemes in the telecom and payment markets. Its test laboratories, located worldwide, provide testing and certification services of the highest quality and are recognized by the relevant international accreditation bodies. FIME’s unique portfolio encompasses a wide range of interoperability testing: it verifies that a solution interacts correctly with a representative set of deployed devices. This assurance is crucial in driving continued consumer acceptance. Interoperability testing is a key step in a certification process or simply at the end of development phase before product time to market. EMVCo has established certification processes for NFC handsets, just as it did for cards and terminals, to guarantee that phones comply with the EMV specifications; any handset has to be interoperable with a set of payment terminals selected by EMVCo. The EMVCo certifications are mandatory for any NFC handset wishing to offer EMV contactless transaction services. In order to perform mobiles’ certification, FIME has created its own test bench allowing a fully automated testing session and guarantying the best time to market. 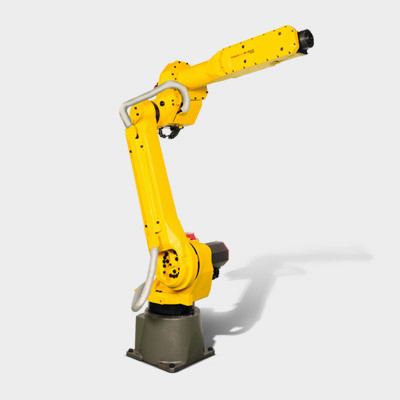 FIME’s new IOP Test Bench, based on a 6-axis robot, allows multi-terminal sessions. The solution is now fully automated, with no operative required, to ensure swift validation and guaranty the best time to market.